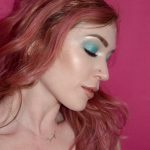 You guys know I am ALL about mermaid and unicorn vibes, so as soon as Wet N Wild announced the Midnight Mermaid collection, I was counting down until the release date! When the big day arrived and I went to make my purchase on the Wet N Wild website, I was having flashbacks of trying to buy the first release of Kylie Cosmetics Lip Kits. Their servers were so slow and I was struggling all day to place my order. I had no idea it was going to be such a hot item, and I guess Wet N Wild didn’t either or their site would have been better prepared. I’m so thrilled to finally have my hands on the collection and review it all for you all. So without further ado, let’s dive right into this sea of goodies! I’m really impressed with these liquid lippies. They apply smoothly and the colors are all very rich and pigmented. 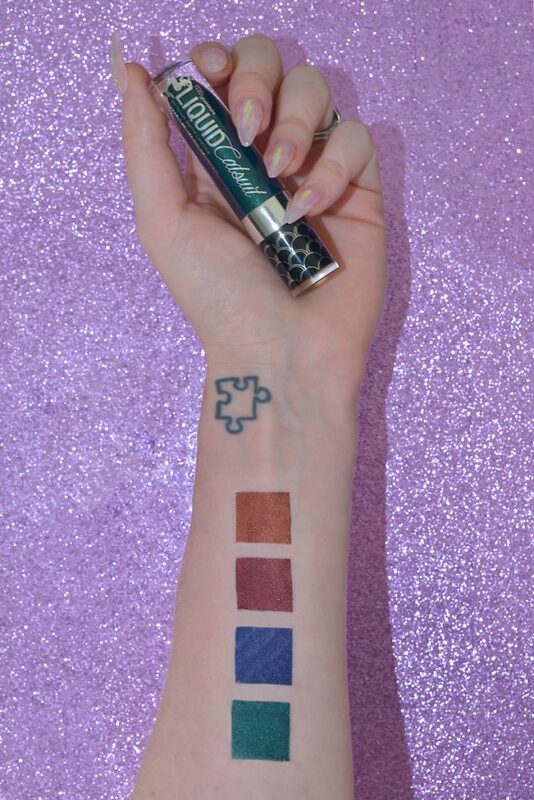 All four of the shades are perfect for fall! My favorite of the bunch is Siren’s Jewel. 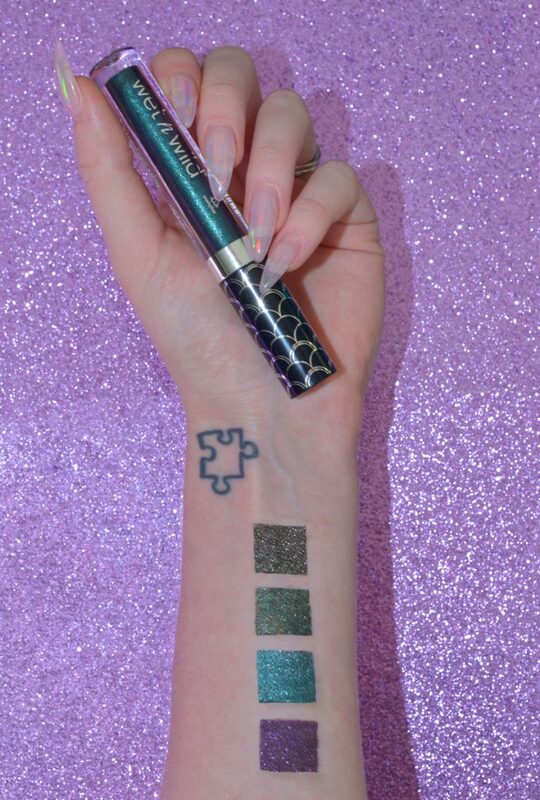 The deep metallic green is super unique; I’ve never seen another lipstick in a shade like this. The color isn’t for everyone, but I find it to be surprisingly flattering and it is one of my favorite products from the collection. This formula is long wearing but does not completely dry down, so it is pretty comfortable on the lips. Please note that Harbor A Crush is the only item in this collection that is NOT vegan. It contains carmine (beetle shells) which is a very common ingredient in red products. Though these are advertised as eyeshadows, I would consider them to be more of eyeshadow or eyeliner toppers. They are quite sheer unless layered, but so beautiful and sparkly! They look gorgeous layered on top of black, grey, or jewel-toned shadows and liners. Mysterious Nights is the most opaque of the bunch and Moonlight Majesty is the sheerest. These are a fun way to spice up your existing eye makeup collection. These eyeliners are fun, but not overly exciting for me personally. Aside from being quite opaque, the formula isn’t anything fantastic, the brush isn’t very good, and the colors have all been done before. They do complement the liquid eyeshadow colors nicely, so you might want to pick them up if you’re buying the eyeshadows and want to do winged liner to match them. 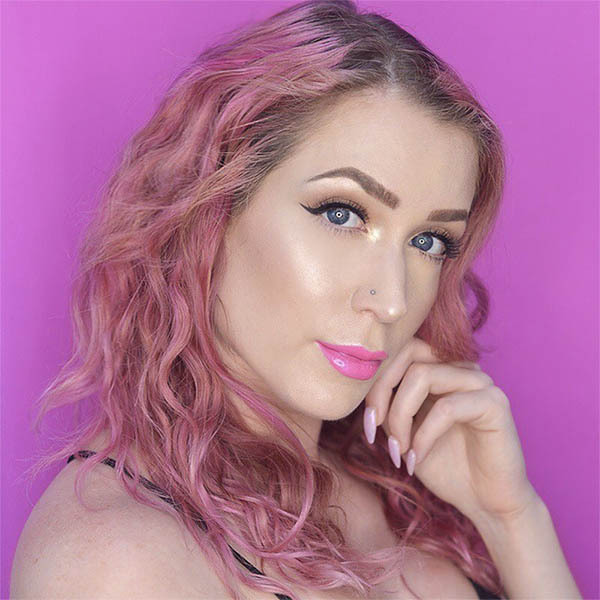 I was SO excited to try this highlighter as soon as I saw it online! The packaging is really cute – It is a unique rectangular shape with a silver mermaid on the front. The product itself has a mermaid fin and scales pressed into it! 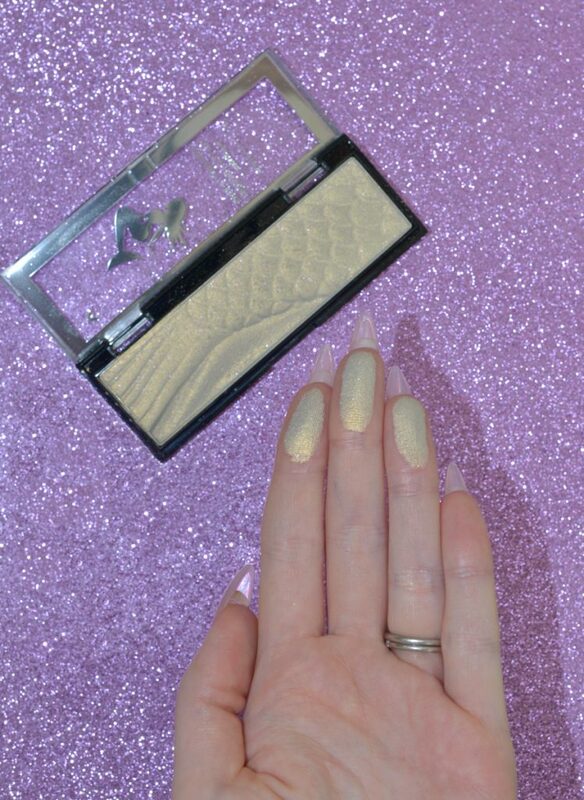 While this highlighter is one of my favorite items in the collection, I must admit that I was a bit disappointed with how gold it looks when the light hits it. I was expecting more of an opalescent shade. It also has tiny bits of pink glitter in it and I try to avoid using highlighters with any glitter. The first time I wore this highlighter I wasn’t much of a fan, but when I tried it again when creating this look, I liked it much more. I applied it more heavily the second time which helped me to appreciate more how multidimensional the formula is. It actually shifts green in certain light! 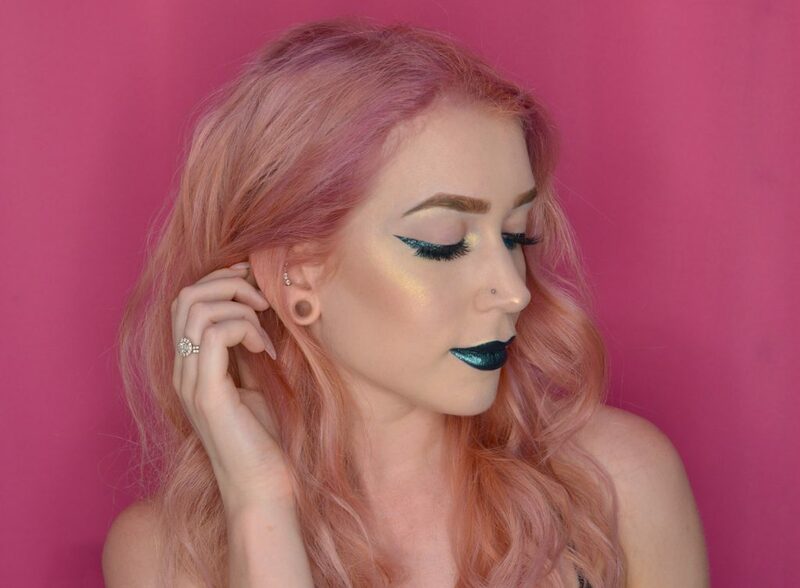 If you like a subtle and natural-looking highlight, you might want to skip this one. However, I think it’s a really fun product for creating unique statement looks. Overall I think the Midnight Mermaid collection is a lot of fun. These are going to be perfect summer-to-fall transition products. They are great for anyone who enjoys creating dark or dramatic makeup looks. If you prefer soft and subtle, this collection is probably not for you. I think the formula of the liquid lipsticks is excellent, and the rest of the formulas are nice but not ground-breaking. 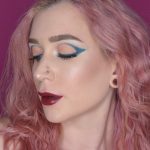 Since the products are so budget-friendly, I would recommend picking up a few just to play with and perhaps step outside of your typical makeup comfort zone! 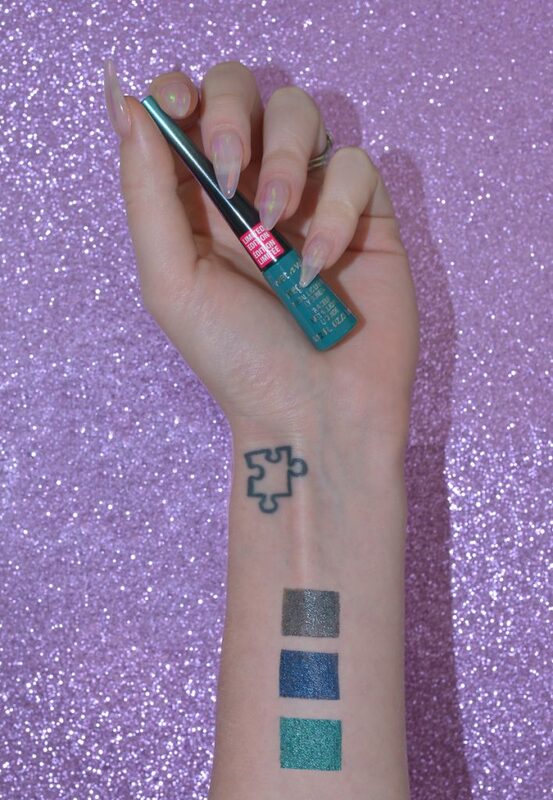 I purchased the Wet N Wild products, but this post does contain other press samples and affiliate links. 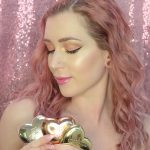 Too Faced Love Light Prismatic Highlighters Review For My Birthday! Excellent! Bravo!!! 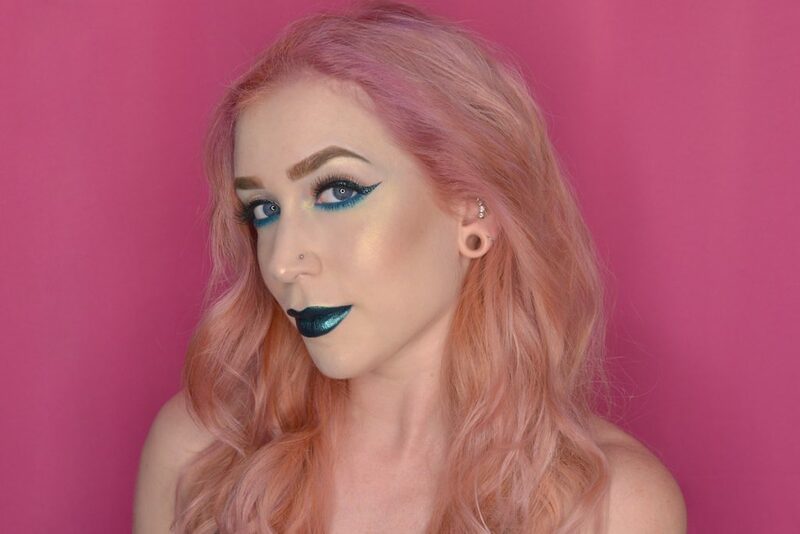 The highlighter is the only thing I’ve worn yet and it’s so beautiful when, like you said, you play with the application, its multi-dimensional and mermaidy.